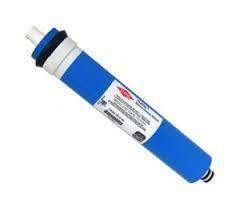 We are leading importers and wholesale suppliers of complete range of domestic RO and other water purifiers spare parts. 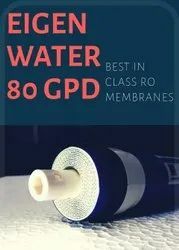 We provide a wide range of domestic RO Membranes like Dow (Filmtec), CSM, Pentair, Vontron, FS-TFC and all other membranes in various capacities (50GPD, 75 GPD, 80 GPD, 100 GPD and 300 GPS). 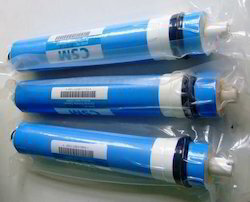 Wave Cyber Industrial RO Membranes available in High quality and attractive prices. Price Range starts from 6000/- approx. 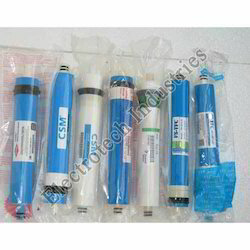 E-Chen 80 GPD RO Membrane for domestic water purifiers. Suitable for most of the RO systems. Works at High TDS upto 2500 PPM. AntiFouling layer inside to prevent growth of bacteria in the membrane. Original E-Chen component. We are importers and wholesale suppliers of RO Membranes like filmtec (dow), Pentair, CSM, vontron and E-Chen, Optima membranes in all capacities and manufacturers of inline filters (sediment, pre-carbon and post-carbon) manufactured with high quality material. We are importers of RO Membranes like filmtec (dow), Pentair, CSM, vontron in all capacities and manufacturers of inline filters (sediment, pre-carbon and post-carbon) manufactured with high quality material. We are importers of Pentair RO Membranes in all capacities (50 GPD, 75 GPD and 100 GPD) and Dow (Filmtec), CSM, Vontron, FS-TFC and all other membranes and manufactur yuers of inline filters (sediment, pre-carbon and post-carbon) manufactured with high quality material. We are importers of Pentair Domestic RO Membranes like filmtec (dow), Pentair, CSM, vontron in all capacities and manufacturers of inline filters (sediment, pre-carbon and post-carbon) manufactured with high quality material. We are importers of Water filter Membranes like filmtec (dow), Pentair, CSM, vontron in all capacities and manufacturers of inline filters (sediment, pre-carbon and post-carbon) manufactured with high quality material.